I love adding beautiful touches to my planners. 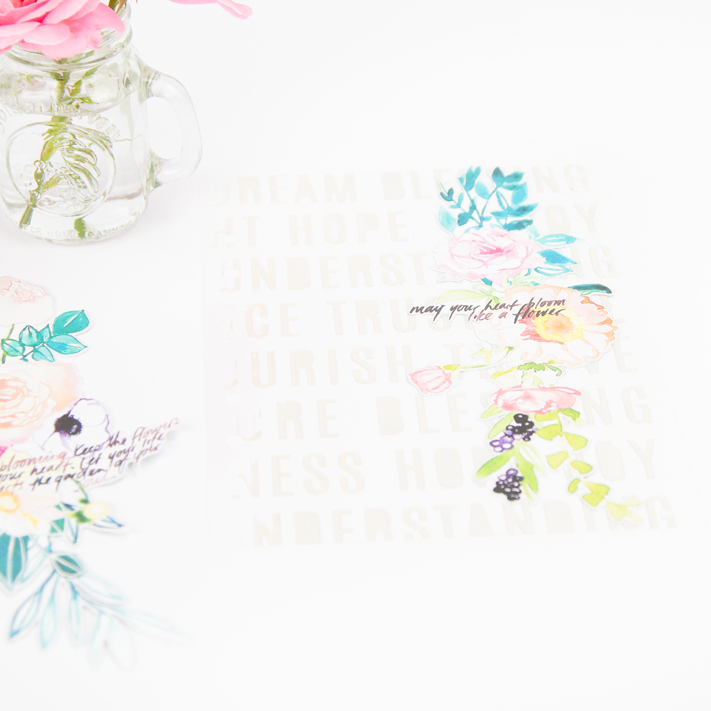 The new Heidi Swapp Gold Memory Planner has the perfect color pallet for adding pops of color whenever I want it! Here is how I made this fun stenciled dashboard. I start with clear acetate like this package of Heidi Swapp Minc Acetate. Then I use the Heidi Swapp White Metallic Texture Paste to apply it over the stencil on the Acetate paper. I love that the white texture paste looks soft when placed over white paper and can pop when on darker colored paper. You can see how to apply the texture paste to paper here. After applying the texture paste, I let it dry completely. 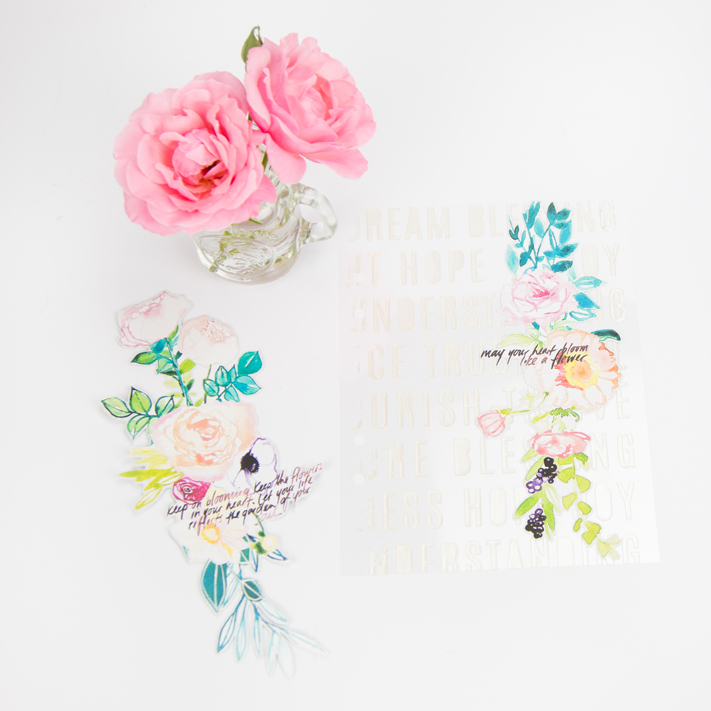 While it was drying, I went to my computer and printed the Bloom Collection, by Wilna Furstenberg printables, on Avery Label paper which made these flowers into custom stickers! After cutting it out along the provided line, I removed the backing and stuck it directly on the acetate. Make sure you decide where you want to put it, because there is no removing these stickers! Don't ask me how I know this! Ha! 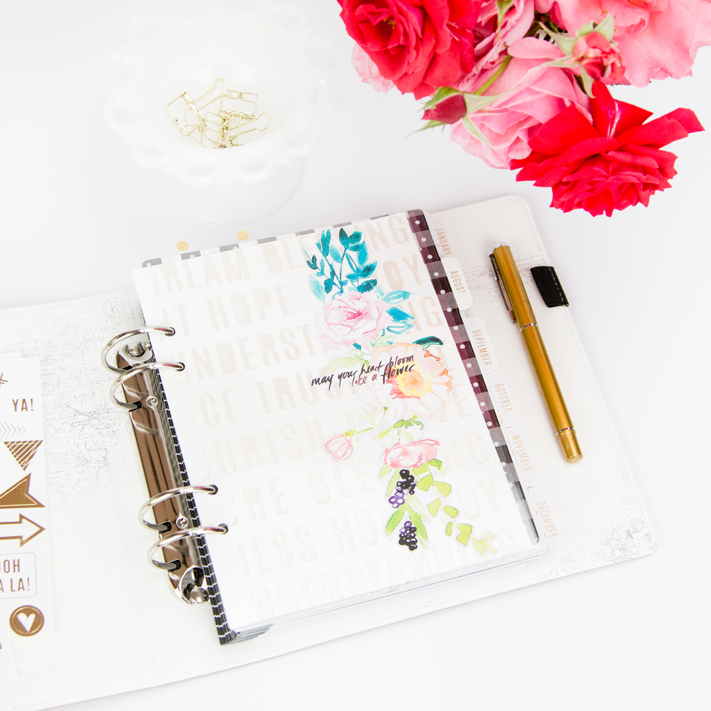 Customize your planner to fit your style!